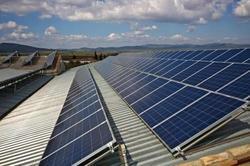 Our firm offers a high-quality range of Solar Power Plant. It is manufactured using top quality materials and latest technology and tested under various quality parameters. Industrial Solar Power Plants are environment-friendly and generate large amount of electricity using solar energy.